Everything old is new again! Quinoa certainly falls into this category. Quinoa is an ancient grain that most of us in the United States had never heard of until a few years ago. Cultivated in the Andes between 3,000 and 4,000 years ago, quinoa has experienced a recent surge of popularity in America. The gluten free grain is rich in vitamin B6, riboflavin, thiamin, folate, iron, magnesium, phosphorus and zinc, essential amino acids and is easy to digest. It has a nutty flavor and cooks quickly. 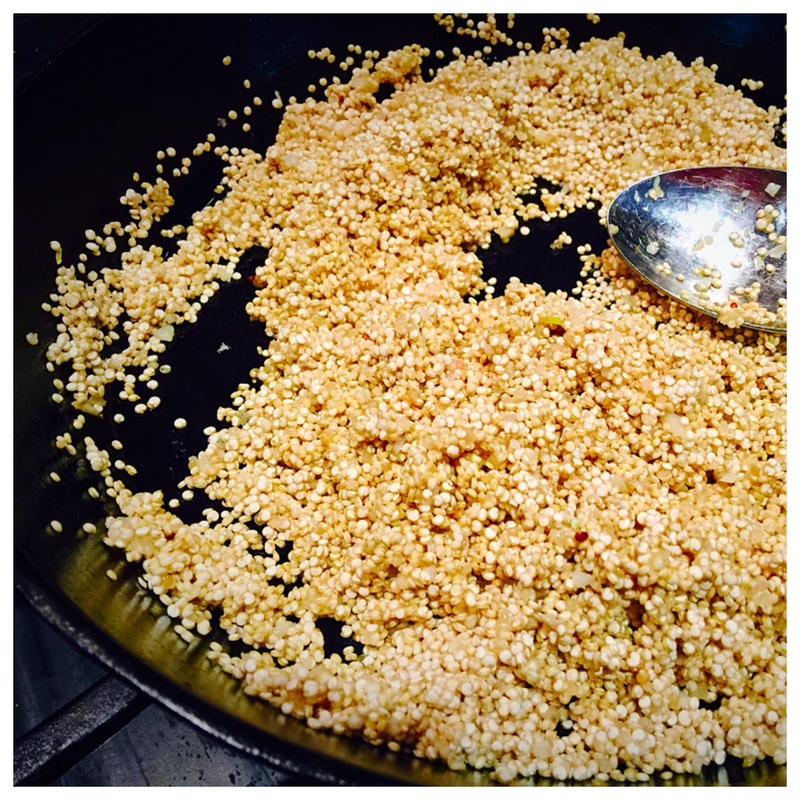 The good thing about cooking with quinoa is that it is pretty much a blank slate. It takes on the flavors of what ever ingredients you add to it, similar to couscous or rice. I decided to try my hand at quinoa with a Mediterranean flair, so I gathered a few ingredients and went to town. Quinoa needs to be rinsed before cooking, so I did that first. I put 1 cup of quinoa in a fine mesh strainer and rinsed it thoroughly with water. While the quinoa drained, I added a couple of tablespoons of olive oil to a skillet and begin warming it over medium heat. I finely chopped two cloves of garlic and threw them in the olive oil. Stirring constantly, I cooked the garlic until it started giving off its fragrance, but had not begun to turn brown. Then I added the quinoa and cooked about five minutes more. Next I poured in 1 3/4 cups chicken stock and brought it to a boil. When the stock began to boil, I turned the heat down, covered the skillet with a lid and simmered the quinoa until the liquid was absorbed, about fifteen minutes. Now for the fun part! As soon as the quinoa was done and all the liquid was absorbed, I removed the quinoa from the heat and started adding my flavors. I began with one cup of fresh parmesan cheese, finely grated. Then I tossed in 1/4 cup toasted pine nuts, 2 tablespoons rinsed capers, 2 tablespoons chopped pimento, 1 tablespoon chopped fresh parsley, 3 chopped pepperoncini peppers, 1 tablespoon of the pepperoncini liquid from the peppers, freshly ground black pepper and a drizzle of olive oil. Honestly, I used the pimento because I wanted a little red in my quinoa. I could just have easily used chopped tomato or red bell pepper. 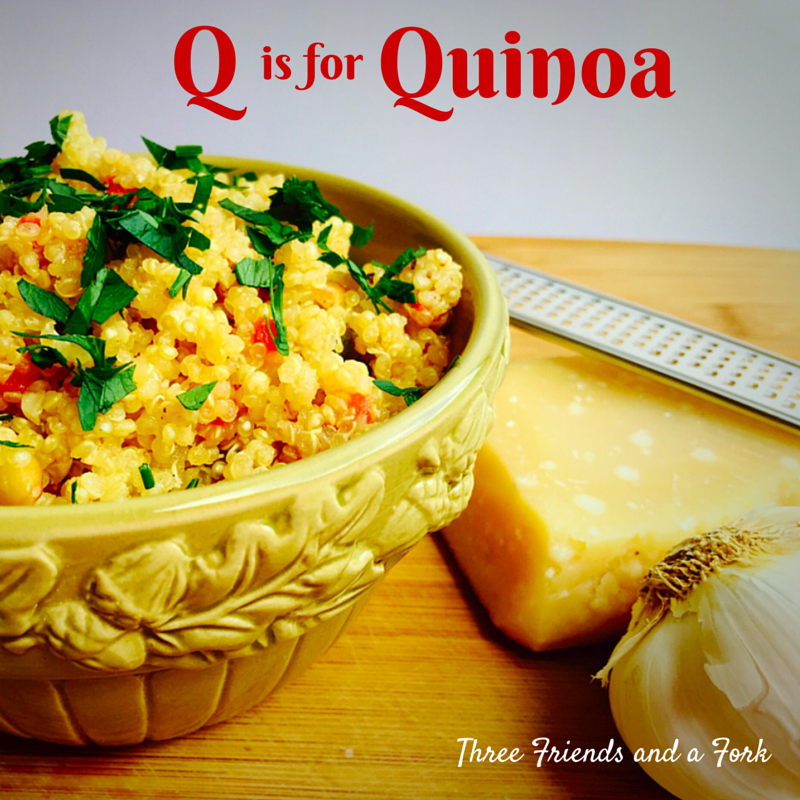 Get Printable Quinoa Recipe HERE. I love the nutty flavor of quinoa and in this dish I love the briny blend of flavors from the parmesan and capers to the pepperoncini. I also think this dish would have been delicious with a sprinkle of feta cheese. Give quinoa a try. It is good and good for you! They make a nice quinoa/bulgar blend over here that I really like. The first time I ever made quinoa I didn't knwo you were supposed to rinse it. I never made that mistake again! Living here high in the Andes Mtns of Ecuador (Cuenca), we are finding it hard to get quinoa. Why? Because it's so popular elsewhere, it's being grown to export. Guess we will have to bring some in on our next trip to the US.